The FontSite.com is an online magazine devoted to digital typography and graphic design featuring articles on the use of type, software techniques and writing and style. 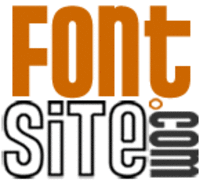 Established in 1996, the FontSite also publishes The FontSite 500 CD, a collection of 512 typefaces licensed from SoftMaker GmbH, as well as several original fonts designed by Sean Cavanaugh et al. Several free fonts are also available for download.